Three accomplished writers are visiting Ithaca College this fall, continuing the traditions of two guest lecturer programs run by the Park School of Communications and the School of Humanities and Sciences. 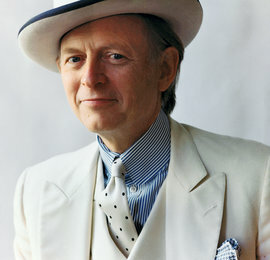 This year’s Park Distinguished Visitor is award-winning journalist and author Tom Wolfe. Wolfe has written for the New York Herald-Tribune and New York magazine and penned several novels, including The Bonfire of the Vanities. He will give a public lecture on October 30 following an informal dinner with several students and faculty. 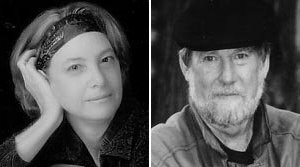 Poet Stephen Dunn and essayist Barbara Hurd will also visit in early October as part of the Distinguished Visiting Writers Series. They will each perform a public reading and collaborate in teaching a master class for select students. Dunn’s book of poetry, Different Hours, won the 2001 Pulitzer Prize for poetry. Hurd has won the Sierra Club’s National Nature Writing Award and was a finalist for the Annie Dillard Award for Creative Nonfiction.